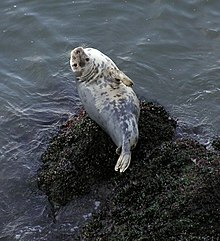 This is a list of the mammal species recorded in Latvia. There are 56 mammal species in Latvia, of which 0 are critically endangered, 1 is endangered, 4 are vulnerable, and 3 are near-threatened. The lagomorphs comprise two families, Leporidae (hares and rabbits), and Ochotonidae (pikas). 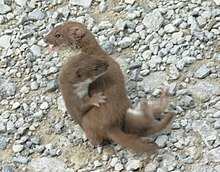 Though they can resemble rodents, and were classified as a superfamily in that order until the early twentieth century, they have since been considered a separate order. They differ from rodents in a number of physical characteristics, such as having four incisors in the upper jaw rather than two. 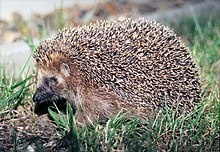 The order Erinaceomorpha contains a single family, Erinaceidae, which comprise the hedgehogs and gymnures. The hedgehogs are easily recognised by their spines while gymnures look more like large rats. 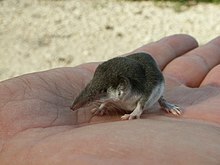 The "shrew-forms" are insectivorous mammals. The shrews and solenodons closely resemble mice while the moles are stout-bodied burrowers. The even-toed ungulates are ungulates whose weight is borne about equally by the third and fourth toes, rather than mostly or entirely by the third as in perissodactyls. There are about 220 artiodactyl species, including many that are of great economic importance to humans. This page was last edited on 15 August 2018, at 20:34 (UTC).